I know, I know! The tongue twister title makes you wanna try this lipstick. 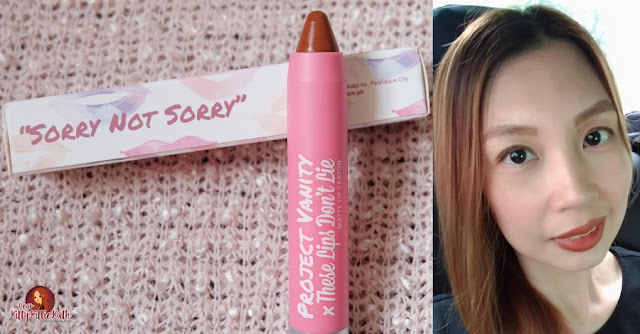 Pink Sugar collaborated with one of the country's top beauty bloggers- Liz Lanuzo of Project Vanity to give you flattering shades and complete your lipstick arsenal. 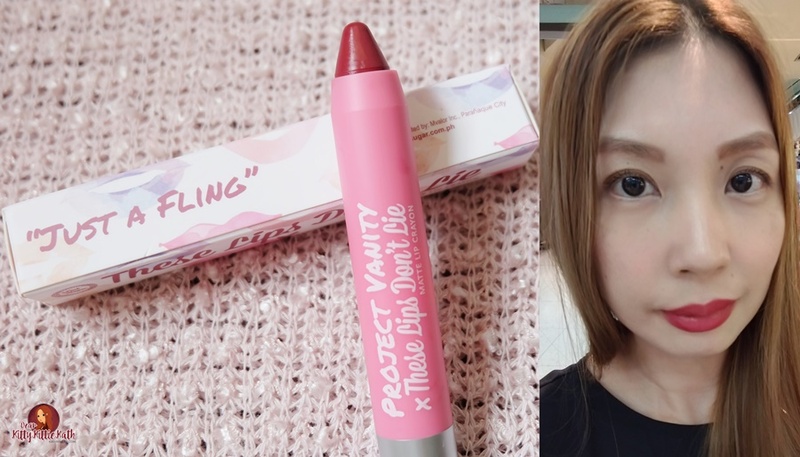 Lipstick in crayon-like form arrived in Philippine shore a few years ago and brands like Revlon and Clinique started the trend. From then on, foreign and local brands are producing their own formulas and shades too. So according to Liz, it was a huge milestone for her when the founders of Pink Sugar asked her to collab and produce this kind of lipstick. If you're a self-confessed lipstick junkie, a crayon or two of Pink Sugar x Project Vanity These Lips Don't Lie Lip Crayon is a must. Why? Read more below! These cute lippies are Pink Sugar’s first ever collaboration with a known name in the Philippine beauty scene, Project Vanity. These lip crayons are formulated with Shea Butter and Vitamin E which makes the lips moisturized even it has a coveted matte finish. There are four shades during the release namely: Woke Up Like This, Ready In Five, Love At First Swipe, and Nothing To Wear. They sent me the latest shades Sorry Not Sorry, Just A Fling, and I Can't Even. Pink Sugar x Project Vanity These Lips Don't Lie Lip Crayon is creamy, has high pigmentation, and unscented. instructions for use: Twist to dispense the lipstick. Apply as usual. You may opt using a lipstick brush for more defined look. The price- it's affordable. Great for budget conscious individuals. These crayons are unscented. Perfect for those who veered away from perfumed lipstick. The packaging- comes in a box packaging complete with product information. These crayons are twistable. No need to sharpen. Just twist and it's ready for application. The texture is creamy and yields a demi-matte finish. Gives a full coverage after two swipes on my pigmented lips. It's not drying but I still prefer to apply lip balm prior to application. Can last up to 5 hours on my lips. Leaves a sheer color on my lips once faded and easy to remove. There are 7 shades available as of the moment that can be used from day to night. Batch, manufacturing printed on the box packaging. The lipstick inside the tube has a tendency to misalign during application. So be careful and use a light hand during application. Will I repurchase? Yes! I would like to try the 4 shades from the first release. I give this a 4.5/5 rating. If you like collecting lippies, you should get one or all shades of Pink Sugar x Project Vanity These Lips Don't Lie Lip Crayon and include them in your arsenal. It's easy to apply because it's like a pencil lip liner but bigger. Easily accessible and there 7 shades to choose from. 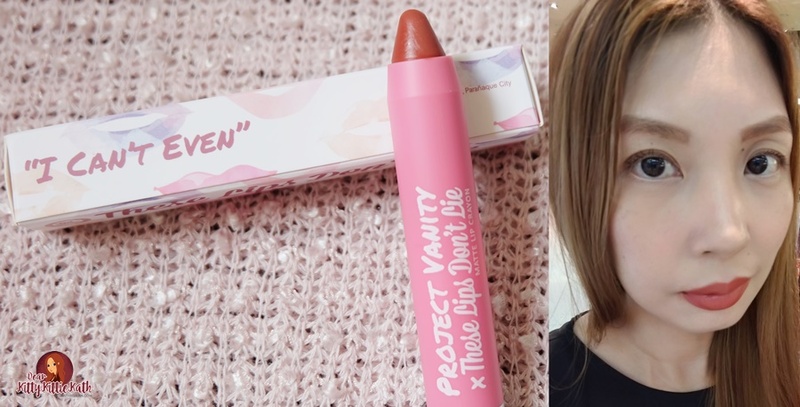 Have you tried Pink Sugar x Project Vanity These Lips Don't Lie Lip Crayon? Yay! Hope you can share a photo but I don't know how?